You see them everywhere: commercial metal buildings for sale in either rural or urban areas, some of them already constructed as models, some simply advertised on billboards or TV and radio ads. In fact, the market for pre-designed metal building kits has grown significantly over the past decade owing to their convenience, ease of construction and low cost. But cost and convenience are only part of the equation when deciding to purchase a metal building. You need to be sure that the building you buy is going to meet your needs and be able to handle whatever it is you will be using it to accomplish. In fact, the shape of the building along with the location and size of the doors and windows alone are major deciding factors when considering if a building will suit your needs. That only covers the outside and there are even more things to consider on top of all that. If you are in the market for a quote on a metal building, whether for home or business purposes, there are quite a few things that factor in to which type will suit your needs the best. For starters, the term “metal building” itself can have a number of definitions based on the building’s function. The term only refers to buildings that have metal exteriors or those which use metal sheeting. 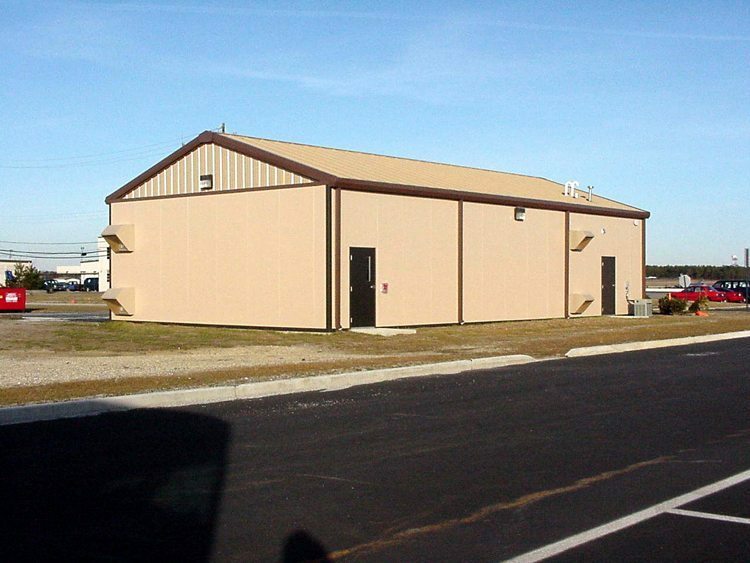 For the sake of example, a storage unit with multiple compartments is considered a metal building but so are an airplane hangar and an office building. Each of these buildings will have different requirements placed on them in order for them to optimally serve their intended purposes. From outside appearance to wiring, plumbing, insulation, heating, venting and air conditioning, the building you select has to be pre-designed to handle whatever you require of it. This is why it is so important to not simply judge the effectiveness of a building simply by the look of the finished product. Strip away the siding, the trim and roofing material and you are left with the core of the building. It is this part that determines the overall functionality of the structure. It is important to realize that metal buildings for sale as kits are not custom designed. This means that if you decide to buy one you will have to make your business fit the structure, not the other way around. It means sacrificing versatility in favor of lower cost, but with the right prior planning this should never be an issue. Before you begin shopping and investigating metal building prices, you will need to find out which type of framing the building should have. Metal buildings can be designed with square tubes or wood framing and if you are unsure which suits your needs, some research is recommended. The prices will vary based on the overall construction of the building and the framing is a major determining factor when it comes to how much it will cost. The type of frame will also impact the cost involved in erecting the structure. Cost will also vary with building size since the rate of consumption of building materials also varies. If the building is relatively small, standard wood or post frame systems will be sufficient. Buildings that are larger in either length or height may require a hybrid construction method involving steel roof trusses to bear the load. For almost every metal building there are three types of framing schemes that are present in the construction: interior, end, and bracing. A good interior frame is made of welded sections for the rafters and sidewalls columns. They are generally available in single-slope, symmetrical or asymmetrical shapes. The columns are either pinned or fixed at the base, depending on the building’s application. End frames are load bearing and rigid and are used in end walls of buildings where eventual expansion is anticipated. If you are looking for expandability, be sure to select a metal building that has end frames as part of its construction. The end walls in these structures are considered temporary yet they are still capable of bearing a full load. Bracing frames are designed to meet requirements for wind and seismic resistance. If your building is being constructed in an area where earthquakes, tornados or wind storms are common, the right bracing fame system is a huge consideration. These suggestions are only a taste of the kinds of things you will have to decide before purchasing or beginning construction of a metal building. Before committing to anything, be sure that you and your salesperson have gone over every aspect of the design and planning, especially those items where local ordinances mandate specific standards that may not apply universally.